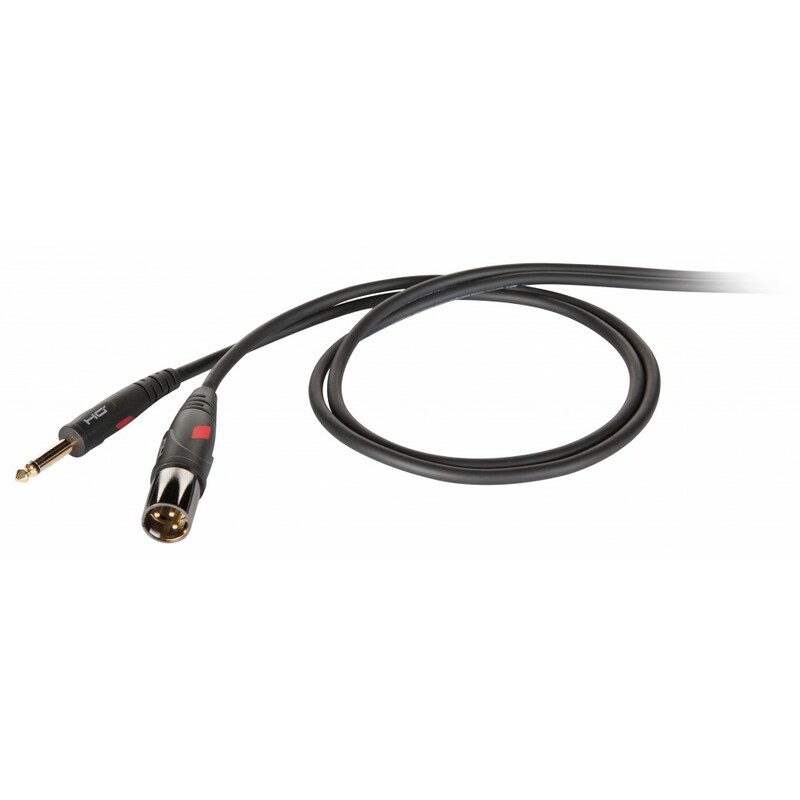 Professional unbalanced cable with Die Hard Gold overmolded Ø 6.3 mm mono plug / XLR 3P male cable mount connections. 1 m length. Black color.